Karney® Pattern Walkway and Patio Stone. Karney® is a registered trademark of Wicki stone. 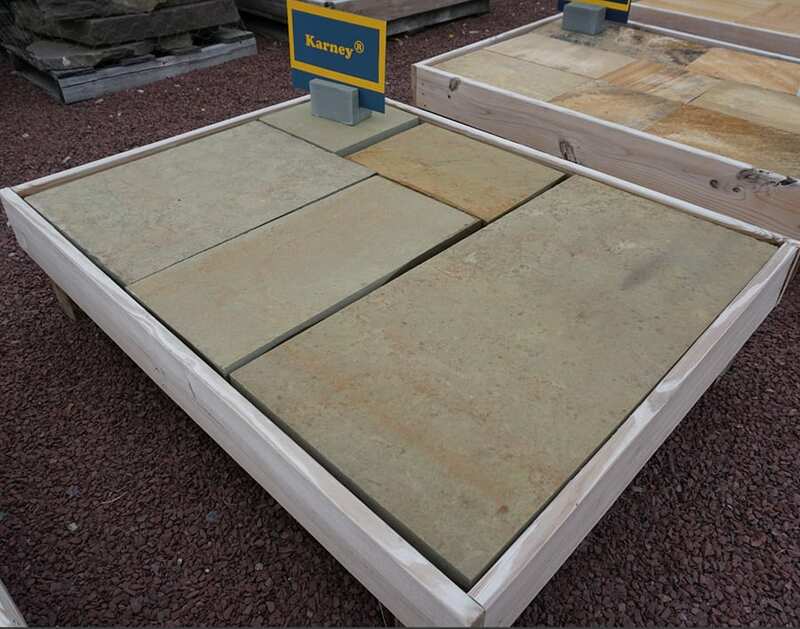 We sell Karney in multiple forms including stair treads, steps, wall stone, placement rocks, bridge rocks and now sawn pattern walkway and patio stone. A beautiful, durable and popular stone. Primarily brown to tan in color with a ranch of color accents including gray, green and even deep purple. Pieces are cut to exact dimensions so coverage is dependent on how much you buy. A typical pallet of 1.5" Karney® will cover an average of 180 square feet. 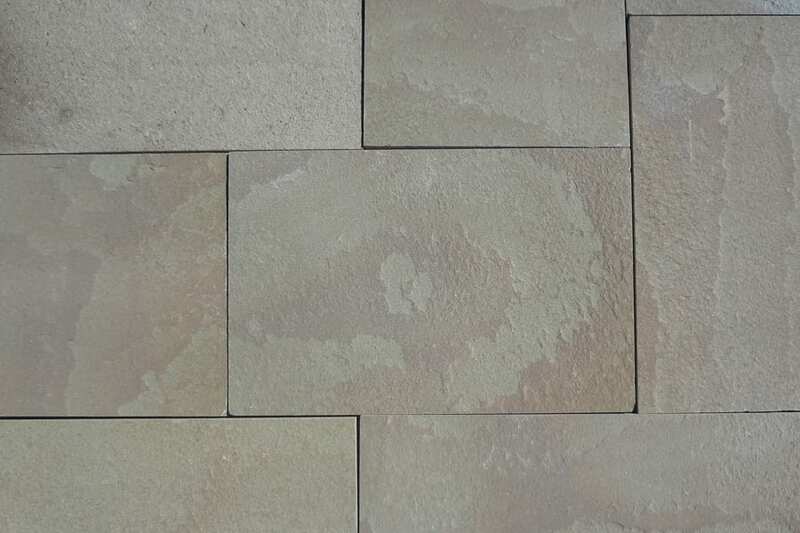 One of our most popular stones is now being precisely cut for walkways and patios. 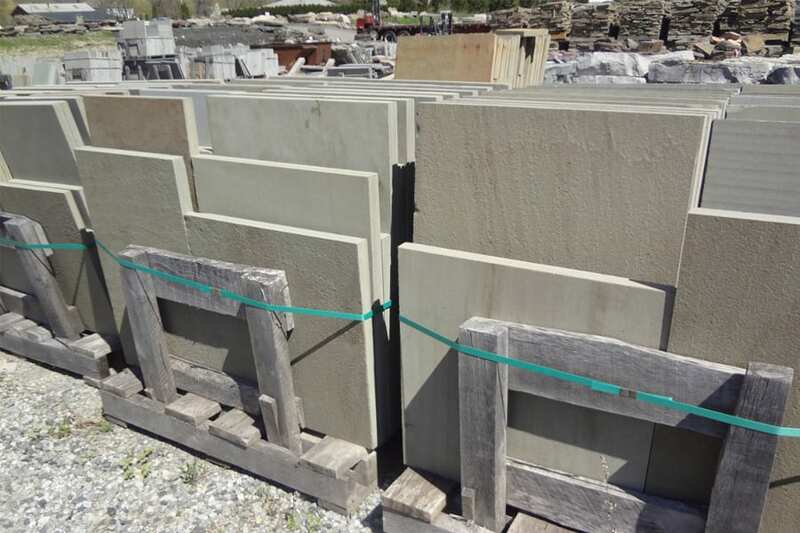 We sell a lot of Karney® stone, we hold the registered trademark on the stone. Karney® is primarily brown to tan, with a range of accent colors. 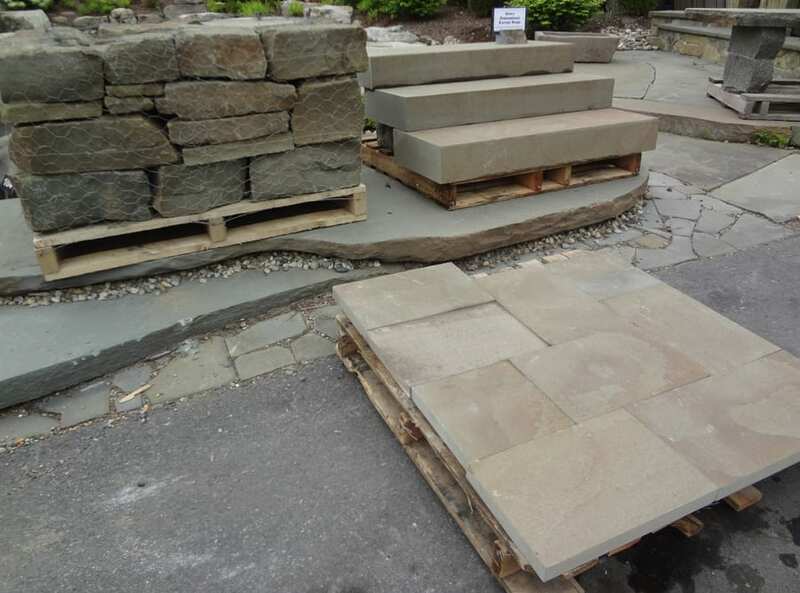 It comes in many forms at Wicki Stone including natural and sawn steps, wall stone in multiple forms, stair treads, irregular walkway and patio stone, bridge and dive rocks, placement and spill rocks as large wall stone "chunks". It is an extremely versatile stone. A sample pallet of 1.5" walkway and patio stone. Karney large wall stone "chunks"